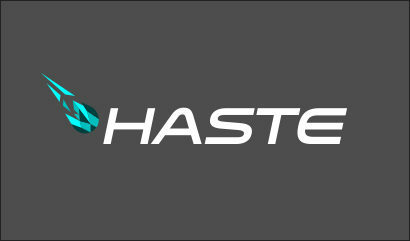 Haste is a software and infrastructure designed to improve gamers’ connections to the Internet by reducing jitter and packet loss while lowering ping to fantastic levels. In a nutshell, this is achieved through a proprietary software and a new infrastructure they have put in place with participating game servers, but this new service which is in its infancy has its sights set much higher. Thankfully, Haste Founder and CEO Adam Toll was happy to answer some of our questions about this new service! Q: “Haste” seems to be all about improving ping while reducing packet loss and jitter to overall improve a user’s connection to a game. Is there any information you can give us about how this is attained and what results you can expect on average? Adam Toll: Haste was designed specifically to reduce latency in gaming by routing game traffic as directly and efficiently as possible. To do this, we engineered a cutting-edge network that employs fiber optic lines, switches and servers in key locations, including adjacent to the game servers. Running on top of that, we have our proprietary network software which includes everything from proprietary route optimization algorithms to redundant pathing, so there’s no single point of failure. Finally, we have the software that gamers install on their game machines. Because of the nature of the internet, results vary widely based on variables including location, hardware, ISP, etc., but we often see a reduction in ping and an elimination of packet loss and jitter. The best thing is for gamers to just try Haste for themselves. We offer a free 14-day trial and diagnostic tools like Haste Check, so gamers can see exactly how Haste will impact their network performance. Q: Currently it looks like Haste is focused on League of Legends, Overwatch, and CS:GO. What other titles do you expect to expand support for over the next year or so? Adam Toll: Right, we spent most of this year building out our platform while in beta. We launched with Overwatch and League of Legends and just added CS:GO. We’re now aggressively rolling out support for the top game titles and plan to add at least half a dozen games over the next two months, including such titles as PlayerUnknown’s Battlegrounds, Fortnite, Dota 2, World of Tanks and Paladins. Next year we’ll continue to add support for all the major titles. Q: Are there any plans to expand Haste support in some way over to popular gaming consoles in order to improve the player’s connection in competitive titles? Adam Toll: Absolutely, we are starting to work with both ISPs and hardware manufacturers towards solutions that will encompass any device connected to the internet. So not just console, but mobile as well. With Haste embedded in an ISP’s infrastructure, and/or with a Haste-enabled Wi-Fi router at home, we can optimize traffic from any device. Q: While Haste seems like it would really benefit the titles it currently focuses on, what about improving and stabilizing connections to platforms like Steam, to improve both network stability during Steam online gaming as well as perhaps improving overall download speeds? Would this be possible in the future? Adam Toll: Apart from a few Valve titles, most of the games on Steam are hosted independently on the game companies’ servers versus a universal Steam server (Author’s note: I didn’t know that!). As such, Haste will continue to roll out support for more titles with the end goal of supporting almost every game. While we’re currently focused on optimizing the internet for gaming, it is possible for Haste to improve download speed and might be something we focus on in the future. Q: As a related question, what about connections to popular streaming sites or upload servers, namely to Twitch or YouTube/YT Gaming. Packet loss can have a terrible effect on online game streaming, so I wonder if Haste could one day help in that area too? Adam Toll: Yes, in the future, we believe Haste might be able to optimize streaming video in the same way we’re optimizing gaming now. This would further benefit streamers and their fans by providing faster, smoother connections to streaming content. Q: And finally, to sum up, a little, do you see Haste being used outside of a game-to-user connection? Perhaps with online streaming or other related activities? Adam Toll: Absolutely. While we’re 100% focused today on fighting lag in gaming, we see a future where Haste is optimizing the internet for any number of real-time applications. This could include streaming, VOIP communications, networked VR and many other applications. It certainly sounds like Haste has some great plans for the future! Right now, they are running a free 14-day trial of their software, so if you’re curious to see how it may help you with its currently-supported games, be sure to give it a try!